What should I know about Posture? - Posture habits and its effect on everyday basic comforts and mobility is very specific and often most debilitating for this age group. - It must be appreciated that there has been an annual loss of muscle over many decades, which has made it even more difficult to maintain whatever good posture was developed in your teen years. - Yet it is important to understand what functions are being adversely affected by poor posture, and then to work out what and how changes can be made to alleviate the discomfort as much as possible. 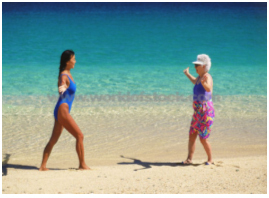 - It is our intention to deal with various basic postural changes that occur in the elderly, having studied and researched how and why these changes came about. So we are offering suggestions and we will demonstrate changes, in order to make your life more comfortable and as pain-free as possible. - You will be able to communicate with us and we will keep in contact with you so as to check and encourage you as you go along. - We will be covering posture and some of its directly related issues such as daily water consumption so important for the whole human system – (Water – The Vital Nutrient), your muscular system and its needs, eating habits and reduction in excess fat where applicable. - Our years of research have shown that no therapist or doctor can make the changes for you. You are the only one that can effect the changes so as to allow yourself to gain and be in control of your body. 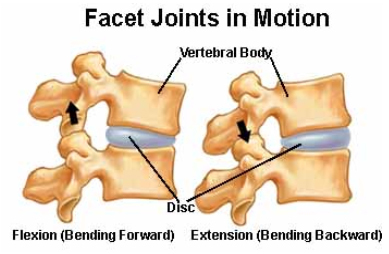 Each spinal structure works together as a team to balance the spine at rest and during movement. The spinal muscles are important. 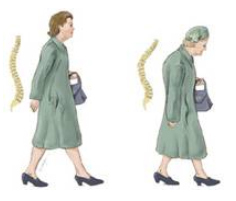 Building and preserving spinal strength is central to staying healthy and active at any age. When there is an injury our nervous system inhibits the function of some muscles. In exactly the same way that vertebrae, tendons, ligaments and muscles are supporting the whole upper body and protecting the spinal canal which houses the spinal cord, so too does the upper body with its ribcage, connecting tissues and muscles protect the organs. 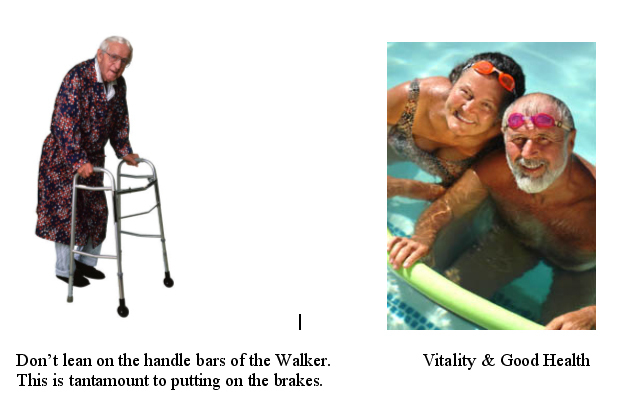 In order for all of these facets to work as designed and to provide the security and mobility needed in our daily lives, it is important that they be held in the ideal physical position at all times – whether walking, running, sitting or lying. So when you slouch, every aspect of the above mentioned needs are going to be affected and none of them – whether they be situated outside or inside the body – will be able to function efficiently. - Slouching and round shouldered – will adversely affect your walking (you will not be able to lift the feet off the ground as well as when you stand upright) thus inviting the possibility of tripping and falling. -Head slouched forward with the chin tucked in to the chest – adversely affects your ability to swallow, chew & breathe. -Both of the above will change the distribution of your weight – you will then avoid placing excess pressures on the lumber spine (particularly on the vertebrae L3 – L4), the pelvis, knees and ankles, which will create pain and joint problems that will become very difficult to overcome. 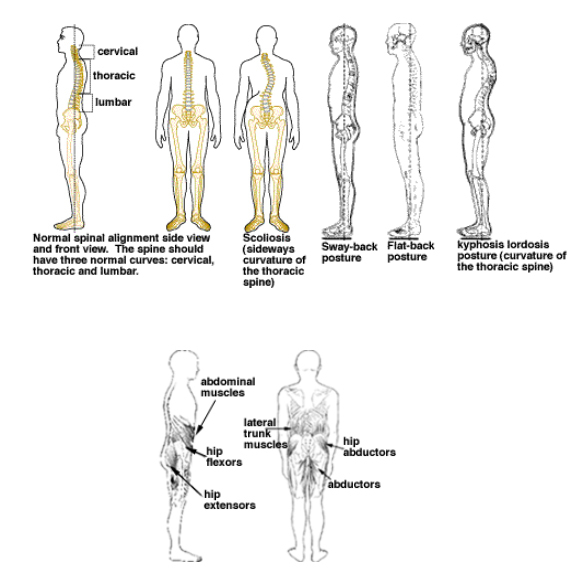 How does Poor Posture happen and what are the consequences? 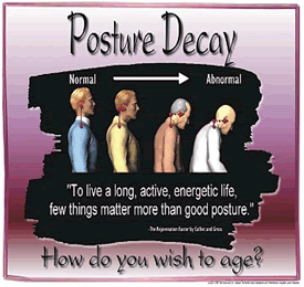 - Poor posture is easy to attain whereas adapting habits of good posture often require conscious effort. Most people do not think about their posture until someone brings it to their attention. Poor posture can extract a high price as you age. The benefits of good posture far outweigh the ease of slouchy poor posture. - When certain muscles or groups of muscles are used more frequently (at work, or during sports), they get stronger, larger and tighter, while the underutilized opposing muscles will be, by comparison, weaker and smaller. The eventual consequence could be that the joint/s will be in an abnormal position and slightly out of alignment. This will happen over a period of years and will vary according to the profession, trade and / or sport in which you participated. - You could also say that poor postural habits have followed trends in society. Children carry huge over loaded backpacks, adults lug briefcases to work and thousands of people spend hours hunched over a computer whether at work or play. - Place limits on your range of motion - muscles can be permanently shortened or stretched when a slumped over position becomes your normal position. Muscles and ligaments that have been shortened or stretched no longer function as required. - Pain and discomfort. Can cause headaches and pain in the shoulders, arms, hands and around the eyes resulting from a forward-head position. - A slumped forward head position can also lead to jaw pain. - Decreased lung capacity - reducing the amount of oxygen in your body can decrease the space in your chest cavity, restricting efficient functioning of your lungs. It is very difficult to inhale sufficient air through the nostrils and respiratory system if the head is slouched forward. Try it for yourself. - Low back pain is one of the most common consequences of bad posture. For people over 35 – 40, low back pain is often interpreted as a sure sign of ageing, although it may have been developing since childhood. - Cause nerve interference - your spine is the basis of posture. If your posture is bad, your spine can be misaligned. Spinal misalignments may cause interference in the function of your nerves. - Bowel function may be affected by a rounded shoulder, head-forward posture. Similarly your intestines may sag and cause constipation. - Your appearance will make you look older. For women, the more rounded the shoulders, the more the breasts will sag. Check yourself in the mirror and think tall. - Change takes willpower! 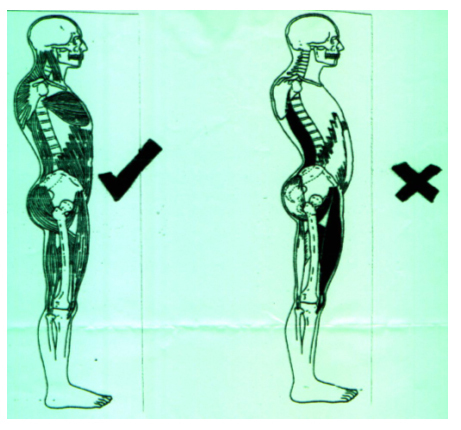 However … the rewards of good posture are well worth the effort. You will feel great and your physical appearance will look tall and confident! Good Posture means that your whole body is in alignment related to the natural and intended position of the muscles and skeleton system. The best posture is one in which the body segments are balanced in the position of optimal alignment and maximum support, with full mobility possible. Try this: Bend forward from the hips with the knees bent. Now turn the upper body either to the right or left. Take note of the small turn? Now stand upright and with knees slightly bent, turn the upper body to the right or left. Did you notice the bigger arc this time? Optimal posture allows for pain-free movement with a minimum of energy expenditure, and is a sign of vigor, power and collective control of the body and its actions. Any deviations from the ideal, efficient alignment will eventually result in chronic pain symptoms, which are generally predictable. Correct posture involves training and awareness so that your body is in a position of least strain on supporting muscles and ligaments during movement or weight-bearing activities. This applies to whether you are standing, walking, sitting or lying, as well as running, jumping or doing other activities. Keeping the muscles, bones and joints in the correct alignment so that muscles are being used properly and to their maximum efficiency, means more power and control, whilst minimizing the possibility of headaches and back pain in general. Good posture means there is musculoskeletal balance. This balance helps to protect the joints in the spine from excessive stress. It also guards against injury and possible deformity. Good posture is a great “tool" to possess so as to help prevent pain. - Keeps bones and joints in the correct alignment so that muscles are being used correctly. - Helps decrease the abnormal wearing of joint surfaces that could result in arthritis. - Decreases the stress on the ligaments holding the joints of the spine together. - Prevents the spine from becoming fixed in abnormal positions. - Prevents fatigue because muscles are being used more efficiently, allowing the body to use less energy with more power. - Prevents strain or overuse problems. - Prevents backache, headaches and muscular spasms or pain. - Contributes to a good, strong and confidant appearance. What function does the CORE have? The area that is now commonly known as the CORE of the body refers to all the muscle groups surrounding, as well as immediately above and below the hips. These include the abdominals, gluteus (buttocks), lumbar spine, hamstrings and thighs. - Sit down in a regular chair. Now, without using your hands or arms, stand upright. That should have been relatively easy, was it not? - Now sit down again in the same upright position as before, but this time try to imagine that your whole abdominal area (all the muscles under the ribcage) is “dead”. They do not exist. Remember - they do not exist. It is important to spend a few seconds getting yourself in to this thought process. Please concentrate until you feel that you are into the mode. Again, please stand up. You should find that you are not able to! You should not even be able to move or even so much as lean forward. Why? It should now be obvious that it is impossible to make a move, any move, whether simply a move forward in the chair, stand up, sit down, turn, bend, and get in to or out of a car or even bed, without putting the abdominal muscles – a critical part of the CORE - into gear in the same way that you would need to put a car in to gear before moving it. - You automatically – without even thinking - use the abdominal muscles to make any and virtually every upper or lower body movement. You will notice that all good sportsmen/women use this CORE area to create control, power, rhythm and balance. Take a closer look at the actions, even the smooth power & grace of a ballet dancer. Unless they utilize the CORE, they will not be able to perform at anywhere near the required high standard. Dancers, golfers, tennis players, athletes, boxers, exponents of judo and karate – they all have to use the CORE to succeed. Every physical task is made easier, better controlled, with greater safety and precision. And you save energy whilst safe-guarding all your joints. - To test and start this essential habit, continually think of “squeezing” the abdominal muscles before and during every movement. And although it may sound difficult, relax the rest of the body and breathe normally. - This should be pure and simple proof beyond any doubt, about the importance of the flexibility, strength, alignment and well-being of every part of the body and how it affects other parts from performing well. - And that is exactly how the Human Body is supposed to function. If your posture is weak or not aligned in some way, tension and strain will be placed on other parts, no matter how strong or healthy they may be. Also, if one side of the body is weaker than the other side, it will also cause all sorts of problems. What are the basic requirements for proper posture? - Awareness of your own posture, plus awareness of good posture will lead to a conscious correction. Only with a realization of its importance followed by the effort to achieve correct posture for standing, sitting, and lying down, will you gradually replace your old poor and weak posture for a new strong you. - Well conditioned flexible muscles and connective tissues – tendons and ligaments. - Strong postural muscles. A "postural" muscle is one that is always working to maintain our posture. To repeat, some examples of postural muscles are the hamstrings, lumbar erectors (the muscles that hold your spine up), abdominals and the gluteus muscles. 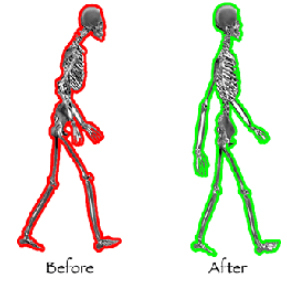 - Postural muscles are built for endurance and when they get tired they tighten up. - A balanced set of muscles on both sides of the spine, as well as front and back. - A lack of knowledge and not realizing the importance of good posture to all bodily functions. What is meant by Body Mechanics and Ergonomics? - Body mechanics is defined as maintaining proper muscular and skeletal positioning during movement. Constant or repeated small stresses over a long period of time can cause faulty body mechanics and can lead to injury. - Ergonomics is the process of changing your environment so as to allow for good body mechanics. This can be accomplished by modifying a tool, work station, counter height, task or job. What are the essentials of good body mechanics? - While working in the kitchen and having to assume the same position for long periods, raise one foot on a step or low box. Change feet every few minutes. What should I know about Purses, Backpacks and Briefcases? - People of all ages use a backpack today – preschoolers, students, office employees, teachers, backpackers, even grandparents! - Some children carry almost as much weight in their backpack as their own bodyweight! As a general rule of thumb, a loaded backpack should not exceed 15% of the body's weight and never more than 24 pounds or 11 kgs! - Carry only the items that are required for each particular day. - Many people pack the backpack to its absolute capacity! - Choose a backpack made of a lightweight but strong material. - Make sure the shoulder straps are adjustable, wide and padded. A backpack with a waist/hip strap is preferable. Wear the pack with both shoulder straps and hip strap. - Pack the heavier items towards the back. Backpacks with many compartments can help to equalize and distribute the load more evenly. Pointed and sharp objects should be packed away from the spine. - Ask for help to lift and position the backpack, so as to avoid swinging it on to the one shoulder and then the other. 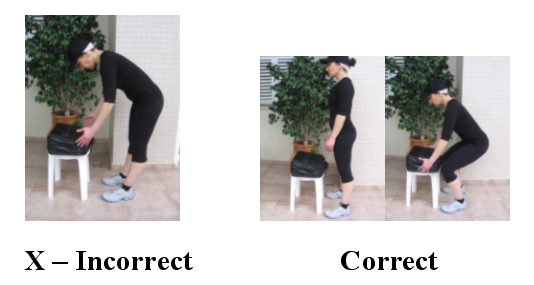 What are the correct positions for stooping, squatting and kneeling? - Decide which position to use. Always keep the whole of the back as straight as possible – imagining that you have a rod attached and alongside the spine. - Always place one foot slightly in front of the other. - Kneel on to one knee when you have to go well down and need to stay that way for awhile. Place a cushion or padding under the knee. - For each of these positions, face the object, keep your feet apart, tighten your stomach muscles and lower yourself by bending the knees and using your legs. What is the correct sitting position? - Sit up with your back straight, think tall and your shoulders relaxed. Your buttocks should touch the back of your chair. - All three normal back curves should be present while sitting. A small, rolled-up towel or a lumbar roll placed in the small of the lower back can be used to help you maintain the normal curvatures in your back. Here's how to find a good sitting position when you're not using a back support or lumbar roll. - Sit at the end of your chair and slouch completely. - Draw yourself up and accentuate the curve of your back as far as possible. Hold for a few seconds. - Release the position slightly (about 10 degrees). This is a good sitting posture. - Distribute your body weight evenly on both hips. - Bend your knees at a right angle. Keep your knees even with or slightly higher than your hips. (Use a foot rest or stool if necessary). Your legs should not be crossed. - Keep your feet flat on the floor or foot rest. - Try to avoid sitting in the same position for more than 30 minutes. - At work, adjust your chair height and work station so you can sit up close to your work and tilt it up at you. Rest your elbows and arms on your chair or desk, keeping your shoulders relaxed. - When sitting in a chair that rolls and pivots, don't twist at the waist while sitting. Instead, turn your whole body. - When standing up from the sitting position, consciously put your abdominal muscles into gear and move to the front of the seat of your chair. Stand up by straightening your legs. A slight forward bend without slouching is fine. - Immediately stretch your back by doing 10 standing backbends. - Use a back support (lumbar roll) at the curve of your back. Your knees should be at the same level or higher than your hips. - Move the seat close to the steering wheel to support the curve of your back. The seat should be close enough to allow your knees to bend and your feet to reach the pedals. How can I lift items safely? - If you must lift, do not try to lift objects that are awkward or are heavier than 30 pounds or 14 kgs. - Before you lift a heavy object, make sure you have firm footing. - To pick up an object that is lower than the level of your waist, keep your back straight and bend at your knees and hips. Do not bend forward at the waist with your knees straight. - Stand with a wide stance close to the object you are trying to pick up and keep your feet firm on the ground. Tighten your stomach muscles and lift the object using your leg muscles. Straighten your knees in a steady motion. Don't jerk the object up to your body. - Stand completely upright without twisting. Always move your feet forward when lifting an object. - If you are lifting an object from a table, slide it to the edge of the table so that you can hold it close to your body. Bend your knees so that you are close to the object. Use your legs to lift the object and come to a standing position. - Avoid lifting heavy objects above waist level. - Hold packages close to your body with your arms bent. Keep your stomach muscles tight. Take small steps and go slowly. - To lower the object, place your feet as you did to lift, tighten stomach muscles and bend your hips and knees. What is the best position for sleeping and lying down? - No matter what position you lie in, the pillow should be under your head, but not under your shoulders, and should be of a thickness that allows your head to be in a normal position. - Try to sleep in a position which helps you maintain the curve in your back (such as on your back with a pillow under your knees or a lumbar roll under your lower back; or on your side with your knees slightly bent). You may want to avoid sleeping on your stomach, especially on a saggy mattress, since this can cause back strain and can be uncomfortable for your neck. - Select a firm mattress and box spring set that does not sag. If necessary, place a board under your mattress. You can also place the mattress on the floor temporarily if necessary. If you've always slept on a soft surface, it may be more painful to change to a hard surface. Try to do what's most comfortable for you. - Try using a back / lumber support at night to make you more comfortable. A rolled sheet or towel tied around your waist may be helpful. - When standing up from the lying position, turn on to your side, draw up both knees and swing your legs off the side of the bed. Sit up by pushing yourself up with your hands. Avoid bending forward at your waist. Note the obvious Strength and distribution of weight in the illustration on the left compared to the weakness and pressures being applied to the lumber (lower) back vertebrae and muscles in the illustration on the right. Also note how the upper spine and muscular system is being put under strain in the illustration on the right. - Posture and good health go together. It is as important as eating right, being active, exercising, getting a good night's sleep and avoiding excesses of potentially harmful substances like alcohol, drugs and tobacco. 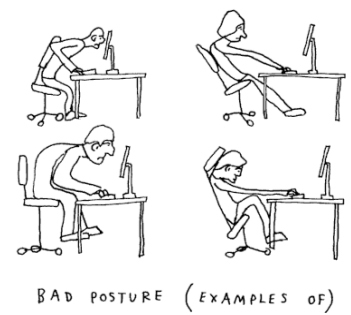 Good posture creates more energy, whilst relieving stress and fatigue. Good posture is a crucial key to being healthy and physically fit. 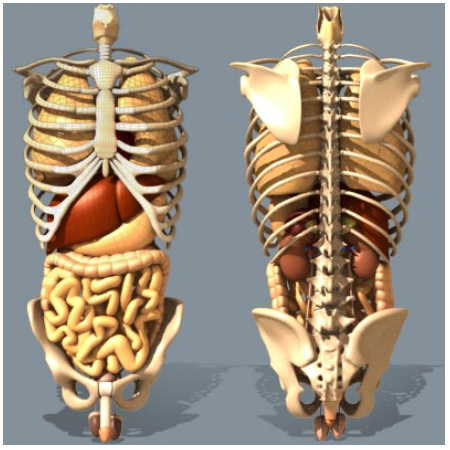 - Good posture is a very important component for the correct workings of the Digestive System. - Unfortunately, the importance of good posture in an overall fitness program is often overlooked even by fitness instructors. Once the benefits of good posture are appreciated, the results will be well-being and good health, which will serve you positively throughout your life. It is never too late to make improvements. Remember that your body is constantly looking forward to any lifestyle improvements that you will make. You will be avoiding major problems and discomfort. Should you have an unfortunate fall or physical injury, you will be able to absorb and cope much easier and the injury should be less severe, which will allow you to enjoy continued good living. Do I have to be continually aware of my Posture? - Postural awareness is very important. Being constantly aware, contributes largely to your postural re-education because if you are unaware of being in a faulty posture, you won't know when you need to correct it. 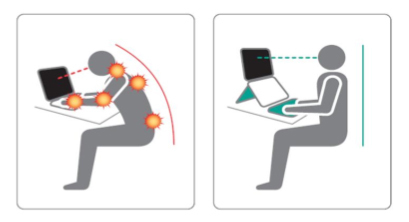 You must be aware of times when you are hunching up your shoulders while working on the computer, or when your head is pushed or slumped forward. - Or if you sleep at night with two big pillows under your head which only emphasizes the faulty angle of your head in relation to your shoulders. - Improving the actual quality of your muscles and connective tissue by being active, doing a few minutes a day of general stretches and, if possible, strength development exercises, is the other aspect of this postural re-education equation. 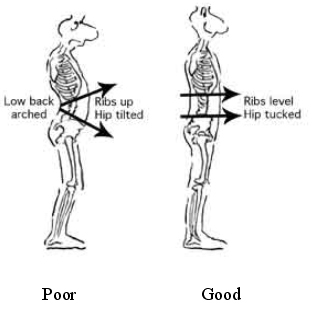 Long-term correction of your posture will only happen when all aspects are understood and addressed. This can be done in stages, and the pace will be determined by you. What about doing a quick simple Mirror Test? 2. Is your head straight and looking ahead? 3. Are the spaces between your arms (at elbow level) and sides equal? 4. Are your hips level, your kneecaps facing straight ahead, and your ankles straight – from a side view? 1. Is your head erect and not slumping forward or backwards? 2. Is your chin parallel to the floor and not tilting up or down? 3. Are your shoulders in line with your ears and not drooping forward or hanging back? 4. Is your stomach flat? 5. Are your knees straight, but not locked? 6. Can you see a slight inward and forward curve in your lower back? What is the CORE of the body? - Sit down in a regular chair. Now, without using your hands or arms for support, stand upright. Relatively easy, was it not? Now sit down again in the same upright position as before, but this time try to imagine that your whole abdominal area (all the muscles under the ribcage) is “dead”. They do not exist. Please concentrate until you feel that you are into the mode. Again, please stand up. You should not be able to without “putting your abdominal muscles into gear”! You should not even be able to move or lean forward. Why? It should now be obvious that it is impossible to make a move, any move, whether to stand up, sit down, turn, bend, and get in to or out of a car or even bed, without putting the CORE of your body into gear – especially the whole of the abdominal area. - You automatically – without even thinking - use the CORE of the body to make any movement. You will notice that all good sportsmen/women use this CORE area to create control, power, rhythm and balance. Take a closer look at the actions, even the smooth power & grace of a ballet dancer. Unless they utilize the CORE, they will not be able to perform at anywhere their usual high standard. Dancers, golfers, tennis players, athletes, boxers, exponents of judo and karate – they all have to use the CORE to succeed. Every physical task is made easier, better controlled, with greater safety and precision. - The aim is to allow your body to be in a position of least strain on supporting muscles and ligaments during any movement or weight-bearing activity. This applies to whether you are standing, walking, sitting or lying, as well as running, jumping or doing any other activities. Consider the CORE all day and every day until it becomes automatic. - Keeping the muscles, bones and joints in the correct alignment so that muscles are being used properly and to their maximum efficiency, means not only more power and control; it also minimizes the possibility of headaches and back pain in general. - Optimal posture allows for pain-free movement with a minimum of energy expenditure, and will allow the body to act with the maximum amount of vigor, power and collective control possible. - Any deviations from the ideal and efficient alignment will eventually result in chronic pain symptoms as well as less power and flexibility. - Should you wish to know “How to Develop a Complete Stretching and Muscle Strengthening” program at home - Refer to the Links: Stretching and Exercise. Which Vertebrae relate to what sections of the body? 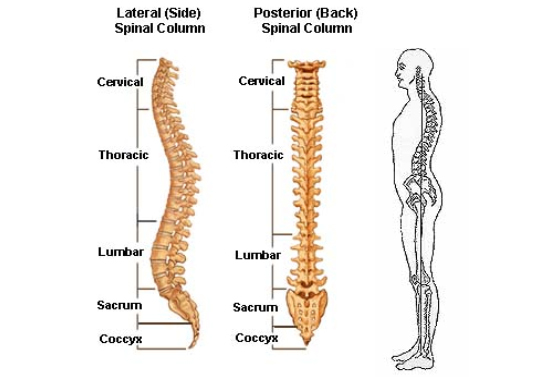 It is worth mentioning some of the functions of the Spinal Column. This will help you understand why correct posture is so crucial to overall well-being. - Gives Protection to the Spinal Cord, Nerve Roots & many internal organs. - Is the Base for Attachment of the Ligaments, Tendons & Muscles. - Gives Structural support for the Head, Shoulders and Chest. - Connects the Upper and Lower body. - For Balance and Weight distribution. - Provides Flexibility and Mobility. 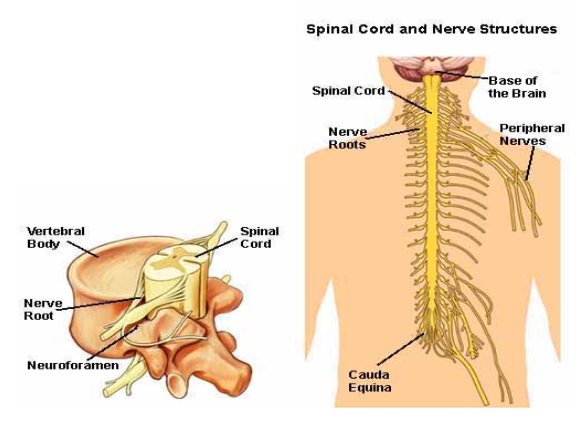 The Central Nervous System is composed of the brain and spinal cord. The brain has 12 Cranial Nerves. The spinal cord, which originates immediately below the brain stem, extends all the way down to the first lumbar vertebra (L1). 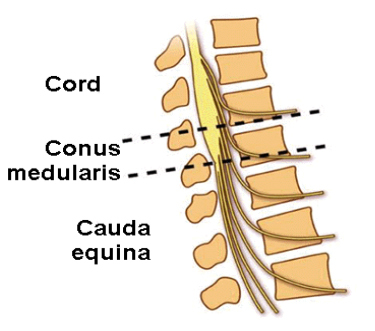 Beyond L1 the spinal cord is known as the Cauda Equina. The spinal cord provides a means of dual communication between touch, taste, feel, sight, call-to-action and any other message that needs to be sent to the brain, which in turn will relay the action message to the peripheral nerves. A continuous 2-way traffic flow. 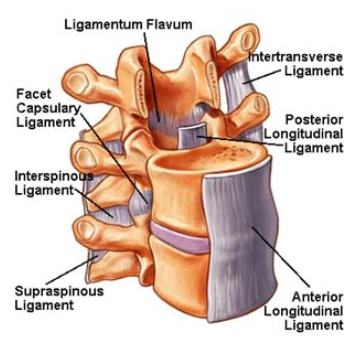 Just below the last Thoracic (T12) and first Lumbar (L1) vertebra the spinal cord ends. From this point the spinal nerves, resembling a horse`s tail, become known as the Cauda Equina extending down to the coccyx. These nerves are protected by being suspended in spinal fluid. Is there a recommended Stretching Routine for Seniors? Sitting for extended periods of time, simple or strenuous daily home chores, pushing, pulling or carrying – all in their own way can wreak havoc on your body. This is even more especially so because the majority of us do not have and are not particularly careful or knowledgeable about our posture. Taking time to do some basic stretches to suit your particular needs will not only help increase your flexibility, they will also reduce tension and stress whilst allowing you to do your tasks more efficiently, with more safety against injury and discomfort, whether it be with short term moderate or long term serious effects. The stretch should be done until you feel a slight pulling of the muscle, but not pain. As you hold the stretch the muscle will begin to relax. Then as you feel the tension easing, you can increase the stretch again until you feel the same slight pulling. Hold this position until you feel no further increase. Stretching should become a daily discipline, especially because the stretches below can be done at any time of the day or night, do not require special clothing, and are equally affective while watching TV. Start now and feel the benefits within a few days if not hours. In addition, refer to the Facial Stretches and Fingers, Hand & Wrist Exercises. 1 - Shoulder, Arms and Upper Back. Posture: Sit upright preferably in an upright firm chair. Breathing: In through nose. Exhale from mouth. Relax: Concentrate on muscles being stretched. Muscle Groups: Shoulders, Arms & Upper Back. Interlace the fingers and slowly raise the arms to shoulder height and stretched in front of your body. Maintain a “tall” posture at all times and relax the whole body except for the muscles being stretched. Hold the stretch for 20 seconds. Don’t arch the lower back. Try to keep the abdominal muscles tucked in. 2 a - Shoulders, Arms and Upper Back – Side View. Interlace the fingers and slowly raise the arms above your head. Once you have reached the maximum then stretch the hands upwards as high as possible. Maintain a “tall” posture at all times and relax the whole body except for the muscles being stretched. 2 b - Shoulders, Arms and Upper Back – Front View. 3 - Shoulders, Arms and Upper Back. Hold on to the wrist of the left hand with the right hand and slowly raise the arms above your head. Once you have reached the maximum then pull the left wrist to your right with the right hand and hold for at least 5 seconds. Stretch the arms as high as possible. Return to the upright start position and repeat the stretch 4 times. Then change over the grip to the left hand holding on to the right wrist and repeat the stretch to the left side. 4 - Shoulders & Triceps. Lift the left elbow and drop the left hand behind your back. Take hold of the left elbow with the right hand and slowly pull the elbow in a backwards and upwards direction. Hold the stretch or 20 seconds and repeat on the other side. Try to keep the abdominal muscles tucked in. It is also possible to do the stretch whilst walking slowly, which often helps to relax the body. Interlock the fingers and place the hands behind your neck. Without arching the lower back, pull the elbows back to a comfortable stretch position and hold for at least 10 seconds. Release and repeat. 6 - Shoulders, Upper Back & Arms Posture: Sit upright preferably in an upright firm chair. Bring the left arm across your upper chest and with the right hand on the left elbow, slowly push the left elbow backwards. Hold for 15 seconds and repeat the stretch on the other side over the left shoulder. 7 – Forearms & Wrists Posture: Sit upright preferably in an upright firm chair. 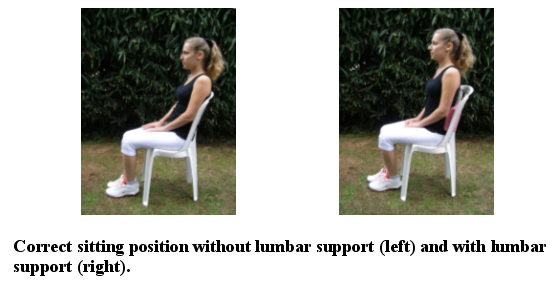 8 – Sides of the Hips, Buttocks and Knees Posture: Sit upright preferably in an upright firm chair. Muscle Groups: Sides of the Hips, Buttocks and Knees. Lift the one leg and grip the ankle with both hands. Slowly pull the foot towards you and hold the stretch at your maximum for 10 seconds. Repeat with the other leg. 9 – Hamstrings. Posture: Sit upright preferably in an upright firm chair. Lift the one leg and grip under the knee with both hands. Slowly pull the knee towards your chest and hold the stretch at your maximum for 10 seconds. Repeat with the other leg. 10 – Lower Back. Posture: Sit upright preferably in an upright firm chair. Slowly lean forward keeping the whole upper body relaxed. Try to get your head to your knees without forcing it down. Relax the arms. Tuck in the abdominal section and hold the stretch for 15 seconds. Breathe naturally with shorter breaths in & out. 11 a & b – Ankles Stretch. Posture: Sit upright. Relax: Concentrate of muscles being stretched. Sit upright in a chair and cross one leg over the other with the knee extended to the side – see photo. Now extend the toe of the crossed foot and then flex it up & back. Hold each position for a few seconds. Do 8 – 10 repetitions and change legs. The second photo illustrates the ankle being inwards & outwards (side to side). 12 - Hip & Lower Back Stretch. Posture: Sit upright in a chair with feet shoulder width apart. Muscle Groups: Hips and Lower Back. Place the right hand on your right knee. Inhale before turning the upper body and head to the left whilst exhaling. Don’t bend the shoulders forward. Keep the upper body upright and relaxed. Hold the extended position for 5 to 8 seconds before turning the body to face forward and repeat to the right side with the right arm now behind the chair. 13 - Calves & Hamstrings Stretch. Posture: Sit upright on the edge of a chair. Muscle Groups: Calves & Hamstrings. Sitting on the edge of a chair, body supported by the hands placed at your sides as stabilizers, extend the legs out front with the knees slightly bent. Extend the toes as far forward as possible, hold for 5 – 8 seconds and the flex the toes as far back as possible for the same 5 – 8 seconds. Breathe normally by inhaling through the nose & exhaling through the mouth. Is there a recommended Warm-Up Routine for Seniors? The main idea is to start the blood flowing and to get the message to the body that it is about to start on an active routine. Slow controlled movements involving the whole body and particularly the larger muscle groups are ideal. Even a slow walk about whilst slowly moving the arms around is great. Is there a recommended Exercise Routine for Seniors? Refer also to Strength Exercises, Aerobic Exercises, Finger, Hand & Wrist Exercises, and Facial & Neck Exercises. Important Note: It is recommended that these exercise routines be discussed with your personal Physician before commencing. Should you experience the slightest pain (excluding the feeling of slight “pulling” on the muscles whilst stretching) you should stop immediately. Exercise # 1. Stand upright feet shoulder width apart. As a start, place a chair on your left side and lightly hold on to the backrest for balance. Now bend the left knee slightly and move the right foot forward up to say a meter, then back to the start position, then out to the right and back to start, and then backwards and back to start. That completes one repetition. Repeat 5 times on each side, slowly increasing the number of repetitions up to 12 each side and then do 2 sets. Exercise # 2. Wide stance squats requires you to open the legs wide with the toes pointing outwards at 45 degrees. Place a chair in front of you so that you can hold on to the back for balance. Keeping the back straight, lower the buttocks directly towards the floor for a quarter squat – lower the hips about 30 cms. Then rise up to the start position. Repeat 6 times, rest for a few seconds and repeat. Slowly increase each set for up to 12 repetitions for 2 sets. Exercise # 3. Sit on the FitBall (Stability Ball) whilst holding on to the back of a chair for balance on either the left or right side. Now move the ball slightly forward and back, controlling the movement with the CORE muscle group – the pelvis, hip, lower back and abdominal areas. The feet will be on the floor extended in front of you. Repeat 6 – 8 times. Rest and repeat again. Exercise # 4.Sit on the FitBall (Stability Ball) whilst holding on to the back of a chair for balance on either the left or right side. Now lift the one leg with knee bent as high as is comfortable. Repeat 6 times and then do the same with the other leg. Repeat again for both legs. Exercise # 5. Again holding on to a chair or similar object to your left side, lift the right knee to the front as high as possible. Repeat for 6 repetitions. Then change over to the left leg. Inhale before starting and then exhale as you raise the leg and inhale as the leg is lowered. Repeat for 2 sets. Slowly increase the number of repetitions to your maximum. Keep the upper body straight and use the CORE to assist you with power and balance. Exercise # 6. – Lie flat on your back on the floor. Bend the knees and place the calves and back of the knees on to the FitBall. Place the hands behind your head and inhale. Then exhale whilst raising the upper body and head towards the ceiling. Slowly lower to the start position. Repeat 6 times, rest and repeat again. Exercise # 7. Get yourself in to a “doggy” position on all fours. Take a deep breath in through the nose whilst extending the abdominal section downwards towards to floor – as if you were blowing up a balloon in the tummy. Then exhale whilst extending the lower back as far up towards the ceiling a possible. Do at least 10 – 15 repetitions. Exercise # 8. Whilst on all fours, extend the right arm forward and parallel to the floor & in front of you whilst extending the left leg backwards, trying to hold the leg as parallel to floor as possible. Inhale before the lift, exhale on the way to the extension and inhale again on the way back to the start position. Exercise # 9. Stand upright and whilst moving around in a slow relaxed walk, extend the arms to your sides up to mid-chest height. With the palms facing towards each other, elbows slightly bent, cross the arms over in front of the chest and then extend them out to the starting point. Try to place some resistance on the movement as if you were trying to squeeze the chest muscles together on the forward movement and the back muscles together on the backward movement. Do at least 6 repetitions, rest for a few seconds and then repeat. Exercise # 10. Using the same principal as in # 9, extend the arms forward and back alternatively, bringing them up to above shoulder height going forward and as close to waist high as possible going back. Inhale through the nose and exhale through the mouth. Exercise # 11. Pelvic Raise - Lie flat on your back on the floor. Bend the knees and place the feet flat on the floor. Place your hands on the upper outside of each buttocks. Inhale through the nose, and then exhale whilst squeezing the buttocks and pushing the hips upward, trying to form a straight line from the knees to the shoulders. Return to the start position whilst breathing in and repeat the sequence again. Do 6 repetitions to start, slowly increasing the repetitions to 12 per set for 2 sets. What does the NIH recommend regarding EXECISE FOR THE ELDERLY? - Strength exercises build older adult muscles and increase your metabolism, which helps to keep your weight and blood sugar in check. - Balance exercises build leg muscles, and this helps to prevent falls. According to the NIH, U.S. hospitals have 300,000 admissions for broken hips each year, many of them seniors, and falling is often the cause of those fractures. If you are an older adult, balance exercises will help you avoid problems as you get older. And if you are a senior, balance exercises can help you stay independent by helping you avoid the disabilities that could result from falling. - Stretching exercises can give you more freedom of movement, which will allow you to be more active during your senior years. - Endurance exercises are any activity—walking, jogging, swimming, biking, even raking leaves, so that your heart rate and breathing increase for an extended period of time. Build up your endurance gradually, starting with as little as 5 minutes of endurance activities at a time. 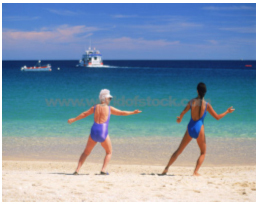 Aging Gracefully: What are the Benefits of Exercise for Older Adults? The notion that exercise is good for you has been around for quite a while, but until recently seniors have been left out of the picture. Does Everyone Benefits from Exercise? - People of all ages and physical conditions benefit from exercise and physical activity. - Staying physically active and exercising regularly can help prevent or delay many diseases and disabilities. - Even moderate exercise and physical activity can improve the health of seniors who are frail, or who have diseases that accompany aging. Why are so many Seniors Afraid to Exercise? - Exercise is safe for people of all age groups. 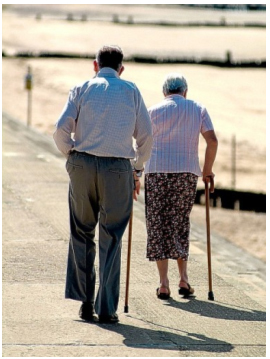 - Older adults hurt their health far more by not exercising than by exercising. Even if you have had an inactive lifestyle, there is good news. It's never too late to improve your health through exercise. Knee Exercise: Strengthen Your Quads (Thighs) for Healthy Knees. Warm up your knee joints by walking around awhile before you start this knee exercise. - Beginners can do this knee exercise by sitting on the floor, a chair or on a firm bed. - Make sure your back is well supported. Lean back on your hands, or against the headboard. - Place a pillow under your right knee. - Lift your right foot a few inches, and feel the back of your knee push into the pillow. - Hold for 10 seconds, and then rest your leg. - Repeat this exercise until you feel a slight burning in the front of your leg in the quads. This knee exercise strengthens your quad muscle, which will help to support your kneecap and knee joint. - Repeat with the left leg, first placing the pillow under your left knee. - As with your right leg, hold for 10 seconds, and then relax. - Continue this knee exercise until you feel a slight burning in your quad muscle. Perform this knee exercise at least twice a day, increasing the number of leg raises as your quad muscles get stronger. Note: When you can easily do this knee exercise for 3 minutes or more, you can add more resistance by sitting in a chair, straightening your leg and lifting it. Keep your leg straight while lifting, but do not lock the knee. Be sure to walk around a bit and do some gentle stretching before you begin this knee exercise. - Slide down, keeping your back against the wall, until you have reached a half-way to a sitting position. Slide down only as far as you feel comfortable; when you get stronger you will be able to slide into more of a sitting position. - For the first few times you do this knee exercise, hold the sitting position for a few seconds, then slide back up. As your quad muscles get stronger, you can hold the sitting position for up to 10 seconds & more. - Starting from a standing position, repeat this knee exercise 6 – 8 times as a start.